2. З Днем святого Валентина! – Happy Valentine’s Day! З Днем святого Валентина, коханий! – Happy Valentine’s Day my love (man)! З Днем святого Валентина, кохана! 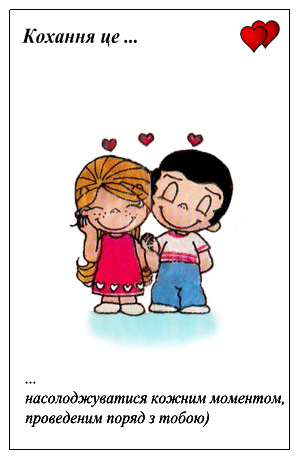 – Happy Valentine’s Day my love (woman)! You can also add some other phrases from this list. 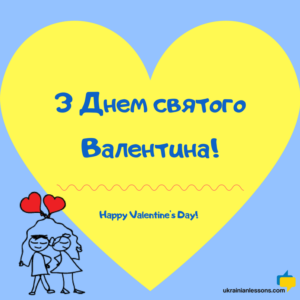 Listen to the Ukrainian Lessons Podcast Episode #29 to hear an example of Valentynka and learn more about the St. Valentine’s Day in Ukraine. 3. Я сумую без тебе, Я скучив (скучила) – I miss you! 4. Будеш моєю дівчиною / моїм хлопцем? – Will you be my girlfriend / my boyfriend? 5. Ти такий гарний / Ти така гарна! – You are so beautiful! Learn more useful Ukrainian adjectives with their opposites here. 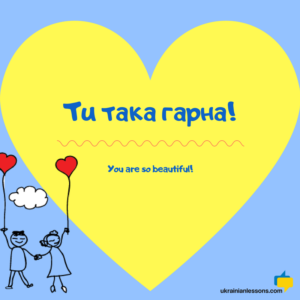 Learn 10 great ways to express gratitude in Ukrainian here. 8. Обійми мене! 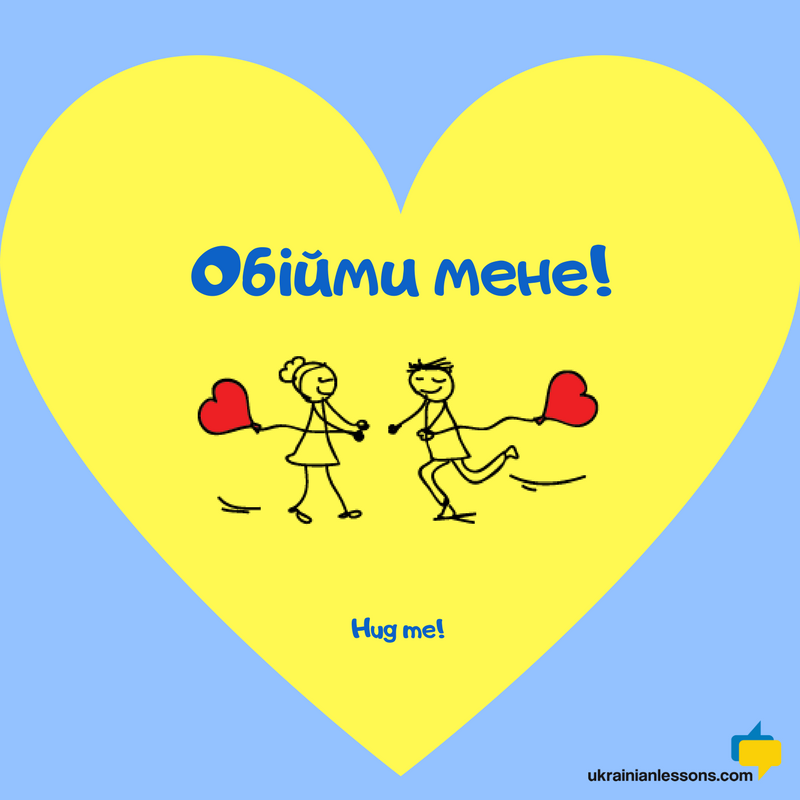 – Hug me! 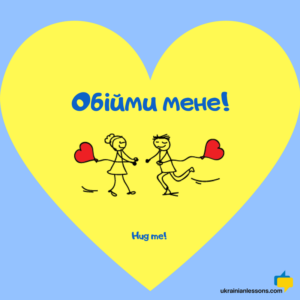 Обійми мене! – Hug me! 9. Поцілуй мене! – Kiss me! 10. Виходь за мене! – Marry me! Ти будеш моїм чоловіком? – Will you be my husband? Давай одружимося! – Let’s get married! To enjoy every moment spent with you. Here is an idea you could use right now. 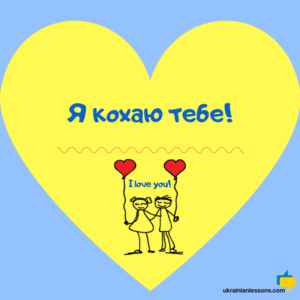 You could send one of our pictures with short Ukrainian romantic phrases to your коханий чи кохана as a message. And if you liked this article, share it with the world. Are you beginning to learn Ukrainian? 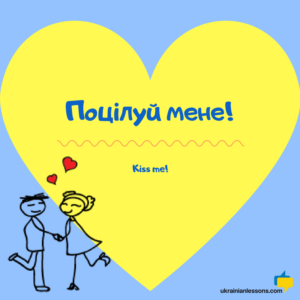 Check our Ukrainian Lessons Podcast and start with our list of 14 most common expressions right now.